This striking picture appeared in the Queen’s Building Gallery at the University of Exeter about a month ago. I’ve passed it a number of times over the last few weeks, but finally stopped to look properly. The Green Man image is a potent one, although appearing frequently on ecclesiastical buildings as bosses or stone carvings, it’s association with fertility, birth, renewal, and the coming of spring is decidedly ‘pagan’. 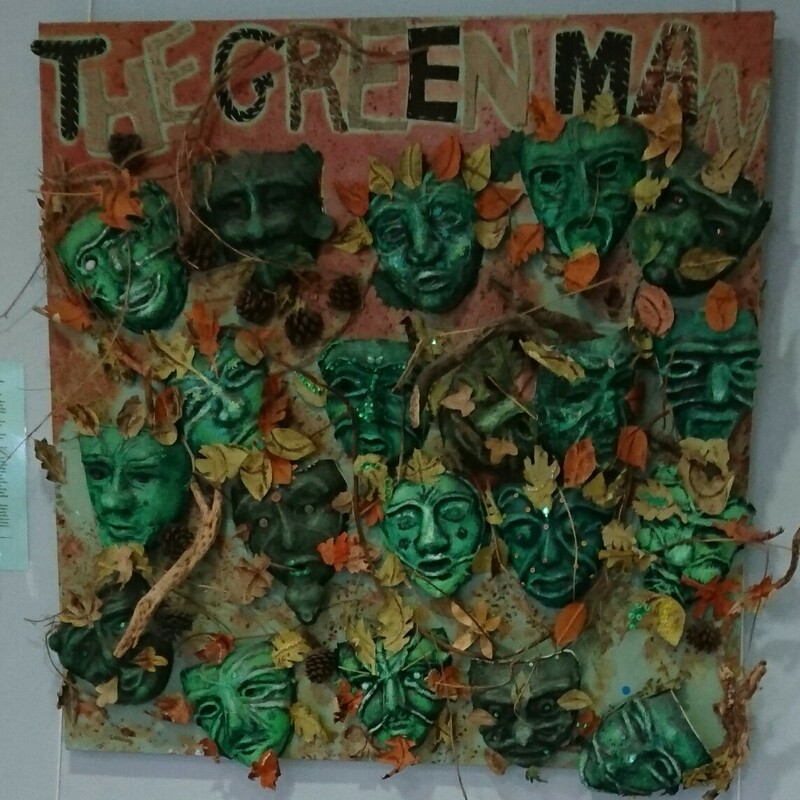 Often the Green Man is seen as a Tom Bombadil (from Tolkien’s Lord of the Rings) type character, tied to the environment and controlling the seasons. So why has he suddenly appeared? 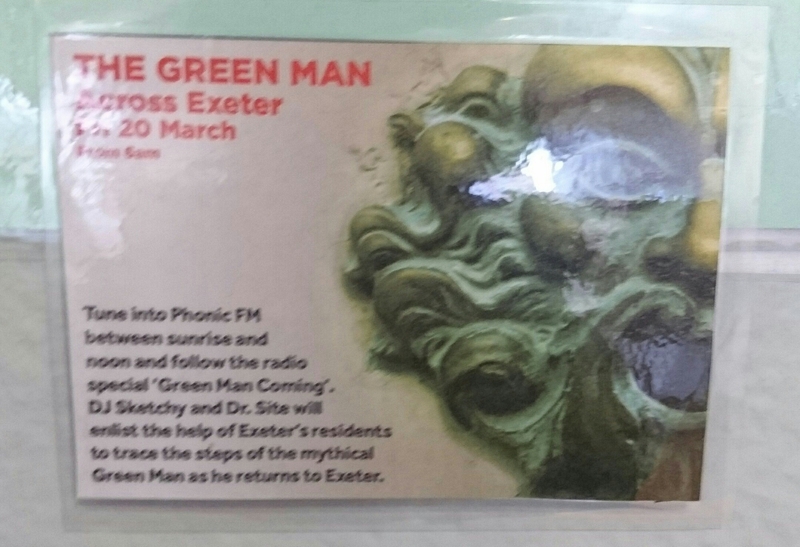 Well, it seems he’s coming to Exeter….